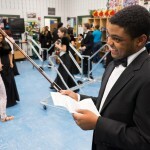 Thanksgiving is extra special this year for violist Jachai Wilmont from Georgia, whose prized viola was recently stolen. 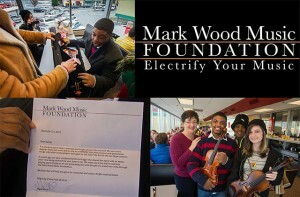 Mark met Jachai earlier this year at an Electrify Your Strings program and recognized his talent immediately. “He is filled with positive energy and optimism and it comes out every time he plays. 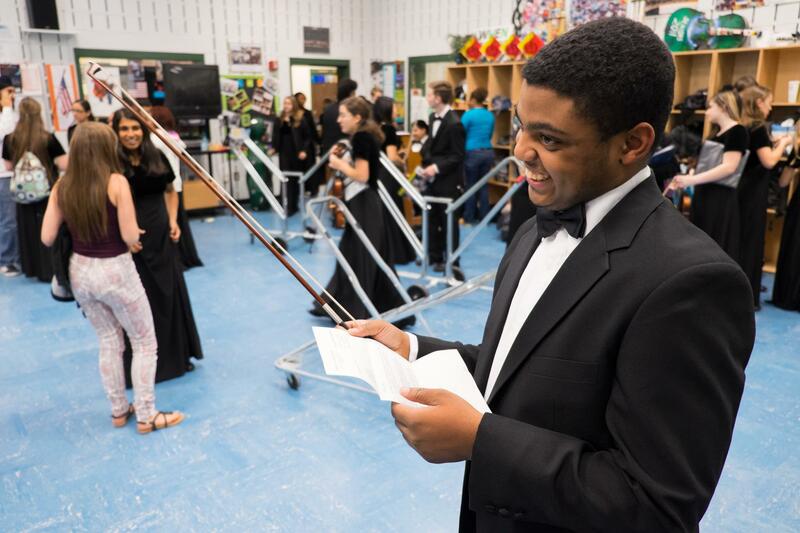 When I heard his viola was stolen, I knew I had to do something for this very special young musician,” said Mark. 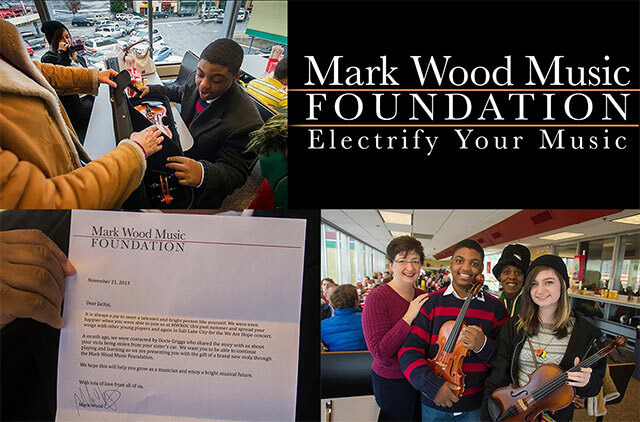 “This is the best day of my life,” was Jachai’s response to receiving his new viola, a special gift from the Mark Wood Music Foundation. Thank you to everyone whose donations helped make this possible. DECEMBER 18, 2013 – UPDATE: We are thrilled to add that Inter-City Violin, located in Oklahoma City, donated a gorgeous Eastman pernambuco viola bow (retail value $365) to Jachai to add to this gift! THANK YOU TO INTER-CITY VIOLIN!